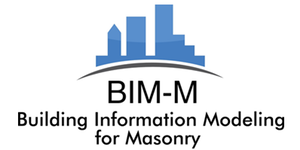 The 2017 BIM-M Symposium is aimed at engineers, architects, masonry suppliers, BIM users and contractors, and will be held in the Addison III, at the District Council Training Center located in US. The main topics of the presentations will be the use of digital tools for designing and detailing masonry projects in a BIM environment. BIM experts in BIM modeling will present several Autodesk Revit plug-ins, Sketch-up and TEKLA modeling for design and construction. Presentation of the International Master BIM Manager in Civil Engineering. Infrastructure and GIS.